Matsue Castle in Matsue, Shimane Prefecture, ca. 1880s. 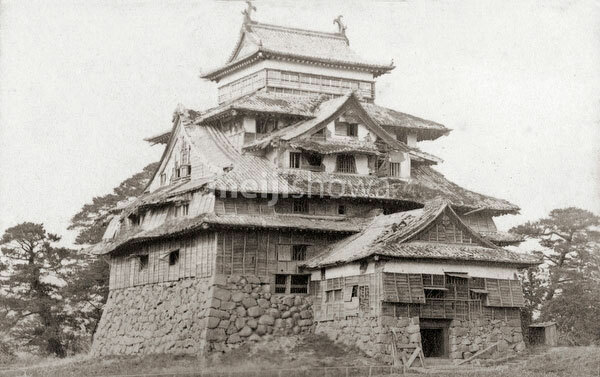 A very rare image of the castle in this surprisingly dilapidated state.